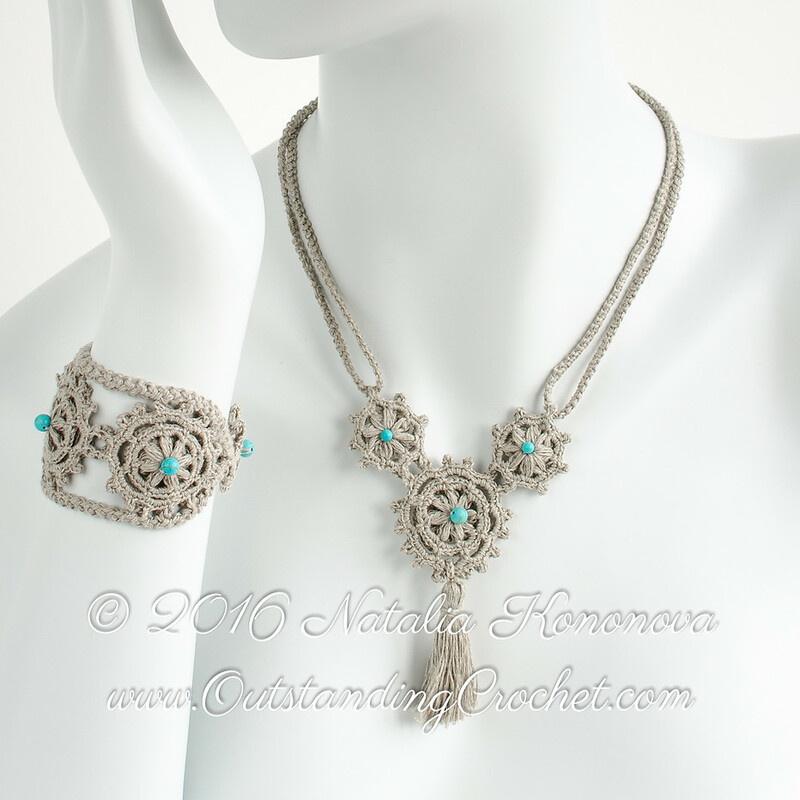 Outstanding Crochet: Medieval Crochet Bracelet and Necklace Set Pattern is updated. 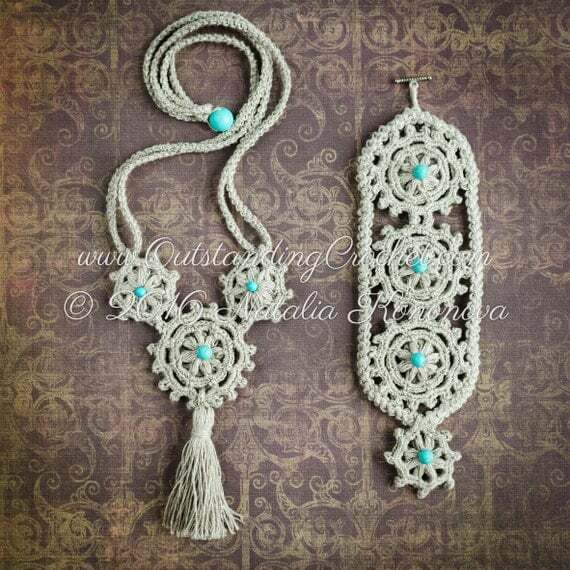 Medieval Crochet Bracelet and Necklace Set Pattern is updated. Since I made this pattern a couple of years ago, I changed it to my current pattern template and made instructions more clear. Check out Medieval Crochet Bracelet and Necklace Set Pattern (clickable link)!